Data Studio provides a variety of easy-to-use charts to help you tell stories with your data, allowing you to visualize data from different sources. Sometimes, though, you want a custom chart to convey information more effectively to your teams, or to customize style options for the kind of data you are presenting. 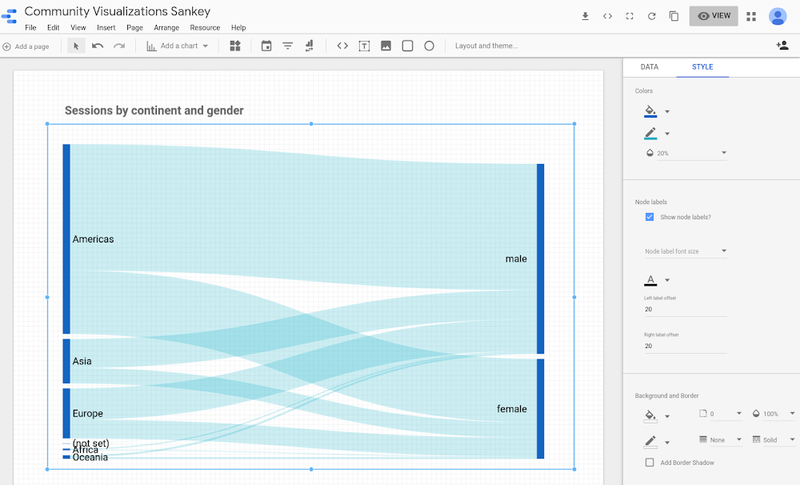 The new Data Studio Community Visualizations feature, in developer preview, allows you to build new charts and styling options, providing even more freedom and flexibility in the stories you tell with your data. Community visualizations integrate seamlessly with the rest of your Data Studio dashboard, including all of the data sources you bring together, to enable you to quickly gain insight from your data. Community visualizations integrate seamlessly into your dashboards. You can use them with all of your data sources, and configure the data and styling options in the property panel, just like you would with a built-in chart. To learn more about Community Visualizations and how to get started, visit Community Visualizations, Developer Preview. Once you’ve built a visualization you’d like to share, submit a report to the showcase and share your code with other Data Studio users.